The first stallion born at Grootnek Farm. Grootnek Guest Farm is situated in the Langkloof Valley along the scenic Cape Route 62 between Joubertina and Krakeel River. Resting in the heart of this scenic valley, Grootnek Guest Farm offers a unique accommodation experience for visitors to the Eastern Cape. 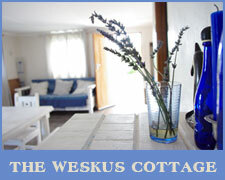 Guests can choose to enjoy their stay in the comfort of one of three quaint, self-catering, fully equipped cottages nestled amongst the orchards of this quiet and peaceful fruit farm. 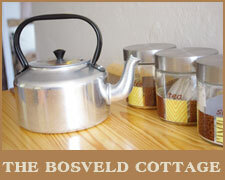 The Weskus Cottage, Karoo Cottage and the Bosveld Cottage each boast their own unique farm Jacuzzi. Expect comfortable simplicity during your stay as this guest farm offers the charm of the rustic coupled with the luxury of everyday comfort. 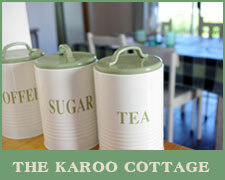 Each cottage is fully equipped with gas appliances and hot running water, complimented by lamps and candles to complete the beautifully uncomplicated, farm-life experience. Electricity is also available on the farm should it be required. Whether you enjoy complete relaxation or appreciating nature through outdoor activities, Grootnek Guest Farm offers the ideal opportunity to do both. From lounging in the farm Jacuzzi or watching 64 species of indigenous birdlife to horseriding and trail hiking, guests are invited to take part in a wide variety of activities on offer at the guest farm. Come and experience the true sense of 'getting away from it all' by letting the birds wake you up to breath the fresh country air each morning. Drink fresh natural spring water at the source and simply celebrate the peace and tranquility of nature undisturbed by the fast-paced city life.